Many years ago I regularly attended Iyengar Yoga classes with a very talented Halifax instructor, David Thomas. I believe that it helped me keep up with regular activities and my professional career. For the past two decades I have not done yoga even though I knew that the benefits would sustain me as I grew older. I lacked discipline and the pain and fatigue has increased considerably since then. I have very little flexibility. This entry was posted in adrenal fatigue, bursitis, buttocks muscles, embody, Iyengar yoga, loose limbs, pain in hips, postures, props for yoga, standing poses, trapped nerve in leg, yoga on April 19, 2010 by Barbara Keddy. The search continues for the ultimate regime that strengthens and improves our overall health. From the ‘pump iron’ mantra… to the videos about Pilates… to the parks filled with the Tai Chi practitioners… to the joggers on our sidewalks…to the yoga clubs whose numbers continue to swell, we are left in a state of frustration and confusion, particularly if we can sometimes barely walk! What is to be done? 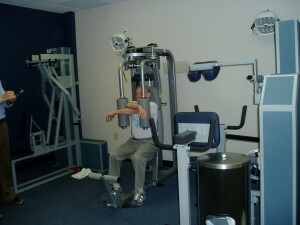 This entry was posted in activities and fibromyalgia, core training, dancing, Fibromyalgia, fibromyalgia and cardiovascular health, flexibility, intensity, jogging, pacing, pilates, pool walking, pumping iron, Qi Gong, running, spinning, strength training, stretching, swimming, tai-chi, walking, yoga on May 28, 2008 by Barbara Keddy. 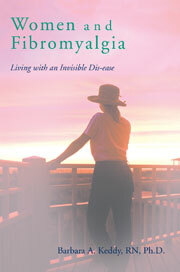 One of the difficult issues that people with fibromyalgia grapple with is trying to describe their pain to others. Words such as ache, raw, ragged, searing, blistering, shocking, nagging pain do not always convey the message; the list of adjectives is endless. The vocabulary is not precise and it can be a daunting task to find the right words. Even more frustrating is that the nature of the pain itself changes, sometimes from hour to hour or day to day. Equally as problematic are the areas of the body where the pain attacks, as that too can vary from one place to another or, pain can occur in several areas of the body simultaneously. This entry was posted in aching pain, biofeedback, Black women's pain, blistering pain, Daniel J. Levitin, Fibromyalgia, fibromyalgia and age, fibromyalgia and class, fibromyalgia and gender, fibromyalgia and race, Fibromyalgia Impact Questionnaire, invisible pain, mindfulness, music therapy, nagging pain, quantifying pain, quantity versus quality, raw pain, searing pain, shocking pain, suffering in silence, tai-chi, This is Your Brain on Music, vibroacoustic harp therapy, Visual Analogue Scale, yoga on September 21, 2007 by Barbara Keddy.